Rent The Marina Inn on San Francisco Bay | Corporate Events | Wedding Locations, Event Spaces and Party Venues. 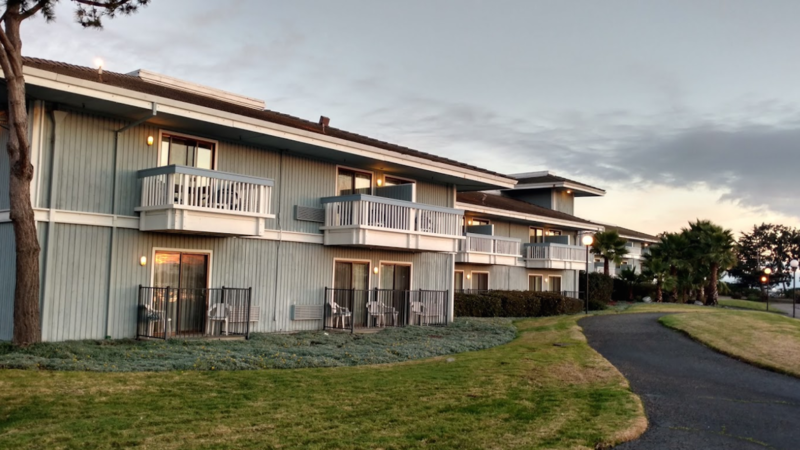 The Marina Inn on San Francisco Bay is a waterfront San Leandro hotel located minutes from the Oakland International Airport. Stay on the water with beautiful yachts in your back yard, expansive parks all around you and views of the San Francisco Bay. The Marina Inn on San Francisco Bay is an ideal venue for many kinds of gatherings: a wedding, an anniversary party, a bar/bat mitzvah, or anything from class reunions to meetings can be held here. A unique location on the right side of the San Francisco Bay puts our hotel near an oasis of water and a 27-hole golf course just across the street. Serene parks and ample free parking are also close by. At the hotel, more than 1,400 square feet of floor area in our main meeting room is dividable by movable partitions, outfitted with the technology required by today's businesses and fully air conditioned. Charming views of the bay's sweeping vistas, visible from morning 'til night, complete the benefits of The Marina Inn on San Francisco Bay! In addition to majestic waterfront settings we have our Marina Room that can be decorated for the ceremony and reception or just the reception. And for larger affairs we have grounds that can be tented and floored for a delightful extension to your wedding's festivities. In addition to our main ballroom we have a grand staircase that is truly picture perfect and our grand piano at the top of the stairs as a musical flair if you so desire. We also have special suites where the bride and her group will have room to get ready and suites available for the groom and groomsmen as well. Our talented staff is with you from day one while you choose the look and setup that is perfect for your most special San Francisco Bay area wedding. We can do as much or as little as you please.